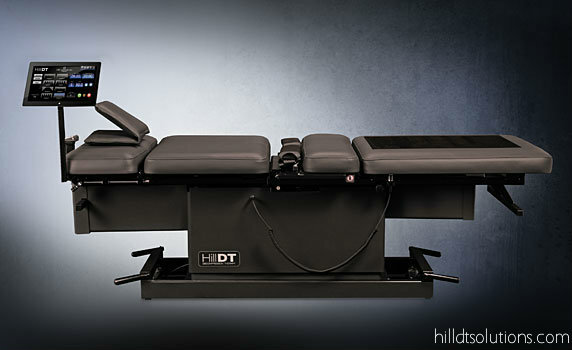 This specialized table is utilized in the treatment of bulging or herniated discs, degenerated discs, failed low back surgical syndrome, chronic facet syndrome, spinal stenosis and chronic neck and back pain. This aids us in treating the most difficult cases and is a great new tool in our toolbox of treatment options for a variety of neck and back conditions. A decompression treatment slowly and gently lengthens or releases pressure in the spine through repetitive movements by a customized treatment table. The table pulls and releases, creating a pressure change within the intervertebral disc, surrounding soft tissues and joints. This pressure change allows the disc bulges or herniations and nutrients to be pulled back into the disc. Rehydration of the disc and surrounding structures creates a physiological change which assists the body’s natural healing process. Basically, decompression therapy is a non-surgical approach to treating some of the toughest back and neck conditions.